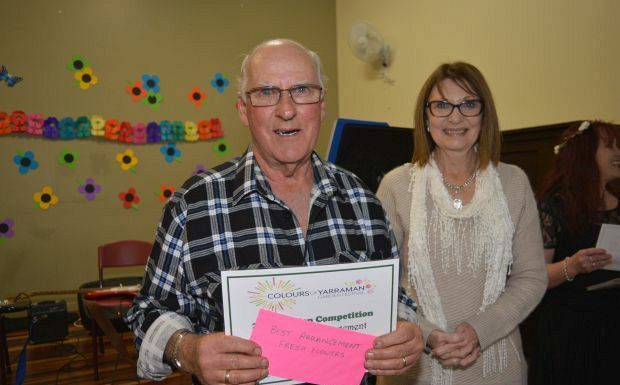 Heather and Neville, from ‘The Palms’ near Cooyar, announced this would be their final year in the competition as they were moving to Toowoomba and starting a new garden. 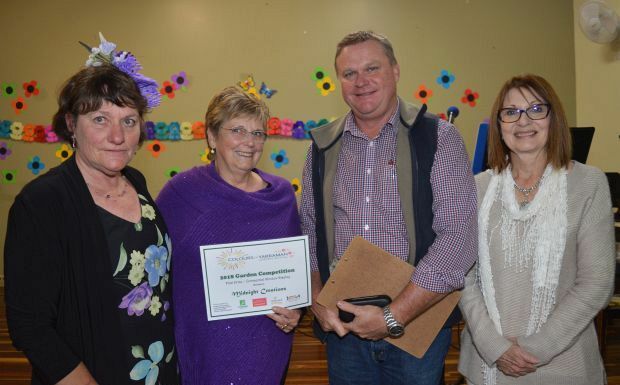 A lot of hard work has gone into their award-winning garden over the years. 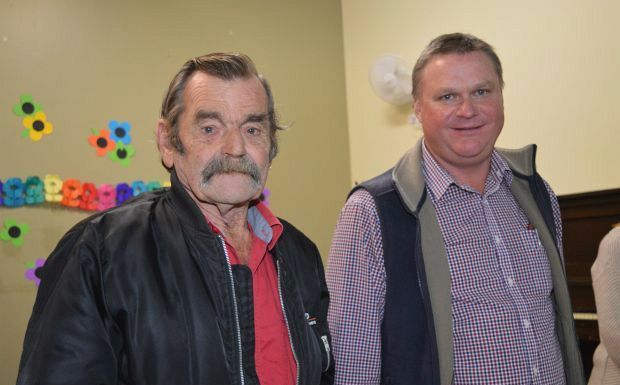 “The first plant went in 45 years ago,” Heather said. 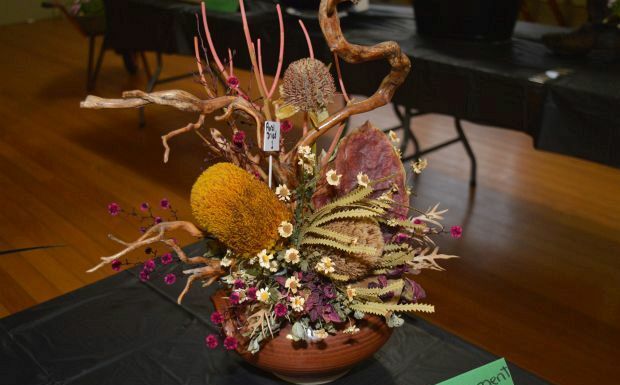 She hopes to be carrying on the gardening tradition in Toowoomba. 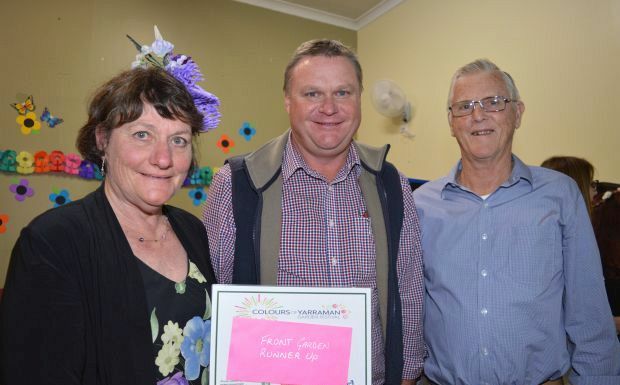 As well as plenty of hard work, Heather believes the secret to the couple’s success has been spring water and, of course, manure. 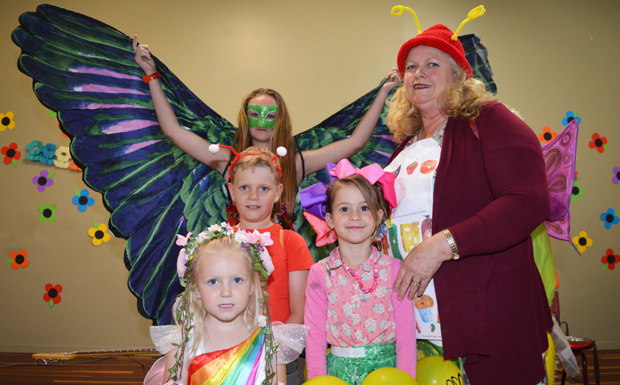 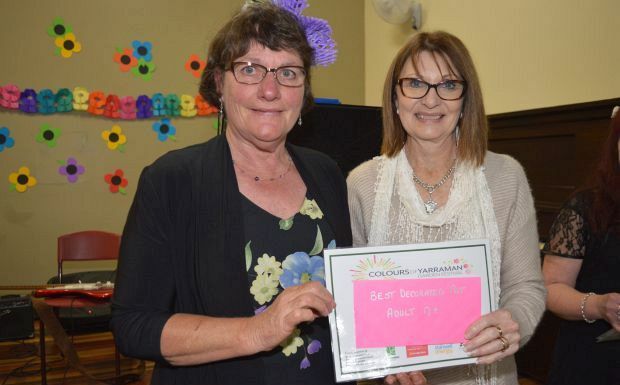 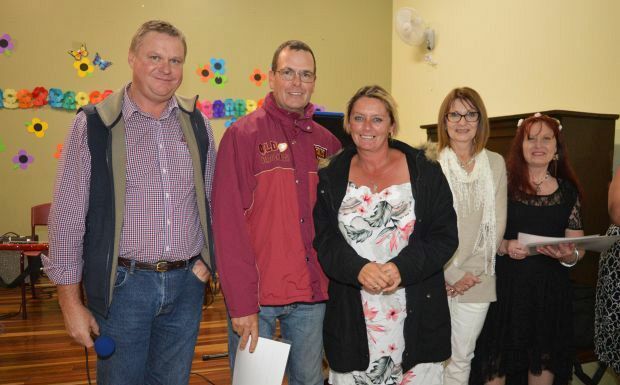 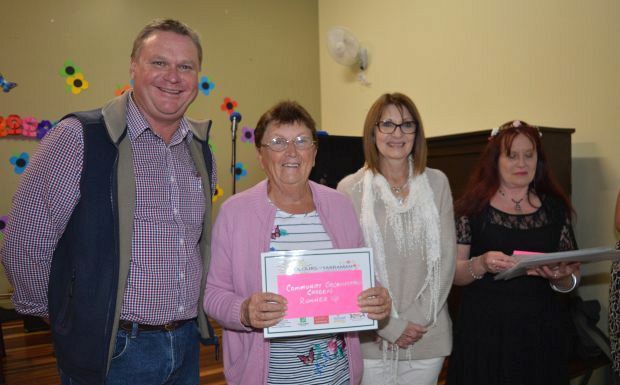 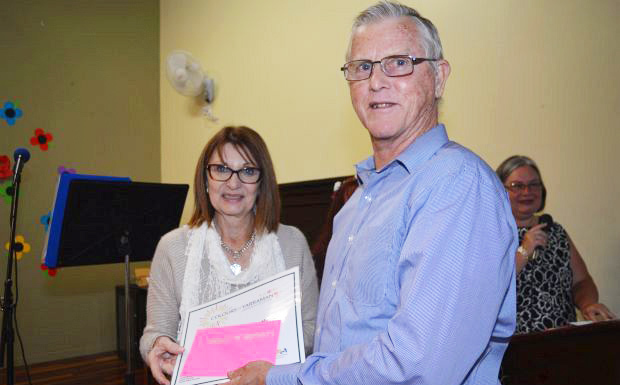 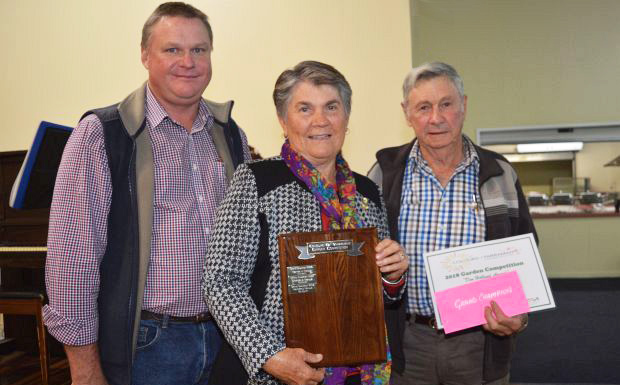 The awards ceremony topped off the Colours of Yarraman week-long community celebration which was organised by the Yarraman Progress Association. 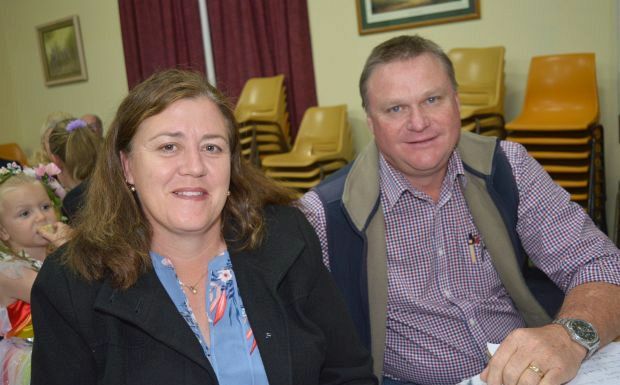 For the second year in a row, rains coincided with the main events planned during the week, which prompted festival organiser Joe Stimpson to joke that he was going to hire himself out next year to local farmers as a drought-breaker. 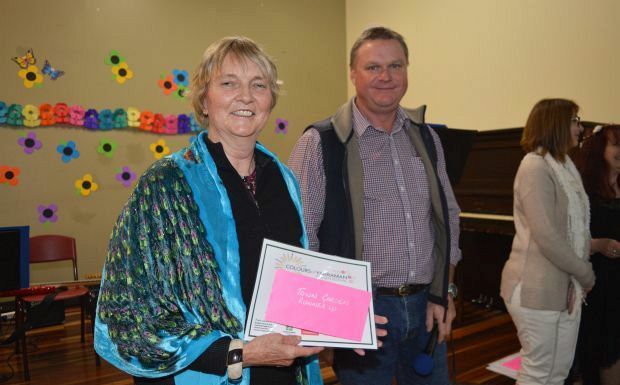 The awards evening included hors d’oeuvres and a buffet dinner prepared by Glenn Keen, from the Farmhouse Coffee Lounge, plus entertainment by the Yarraman P-9 State School band. 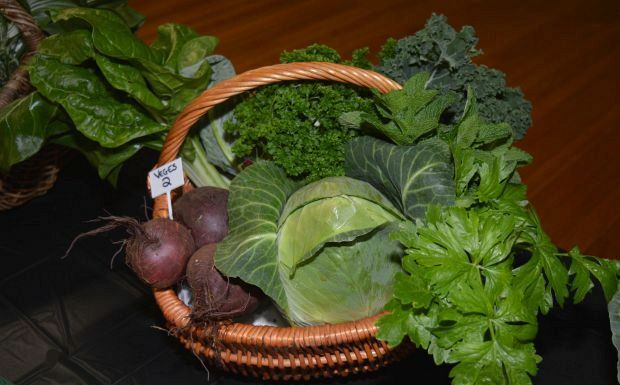 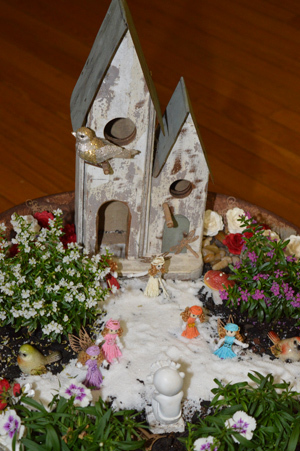 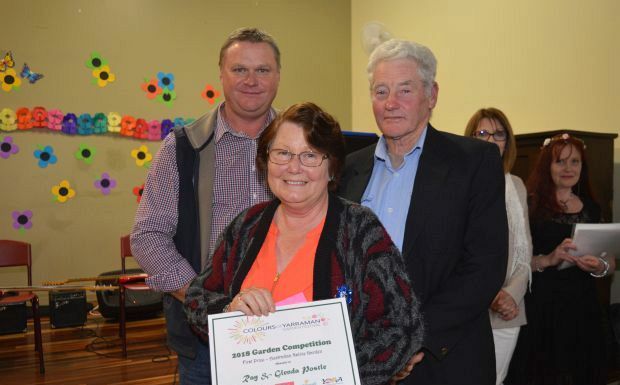 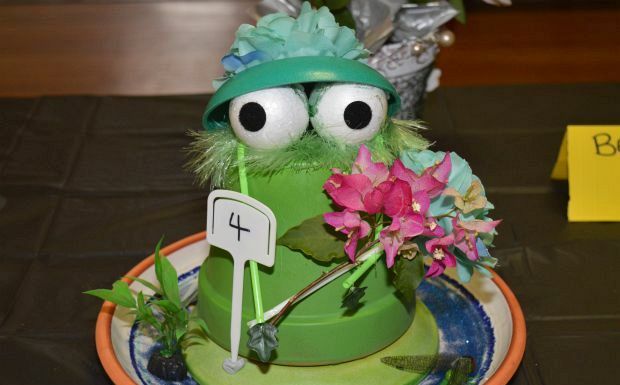 As the guests enjoyed dinner and the live music, judges made their final determinations about the entries in the mini-garden, basket of vegies and bouquet competitions. 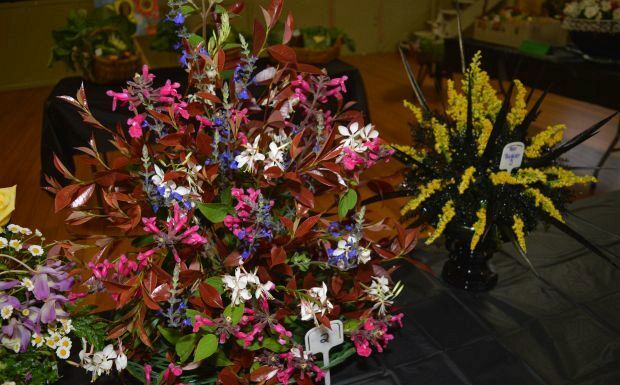 Entries in these competitions filled the Memorial Hall, making a colourful display for visitors to peruse. 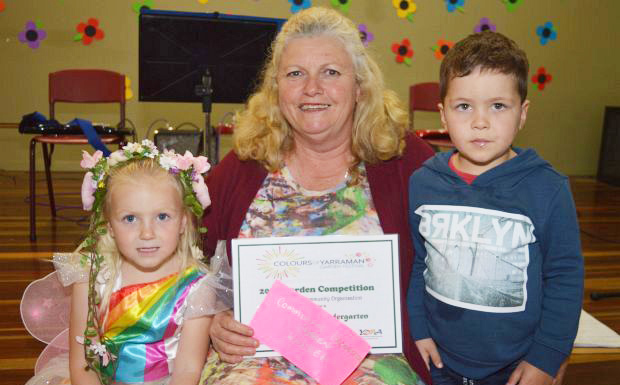 Anne Woodrow, from sponsors Bendigo Bank, congratulated all the entrants in the gardening competition, especially for their resilience after a year of “trying weather conditions”. 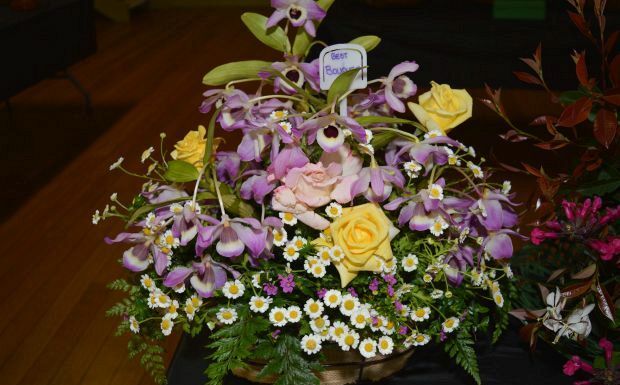 Mr Campbell, who has been judging the competition for three years, said the quality of the gardens in the competition had been amazing. 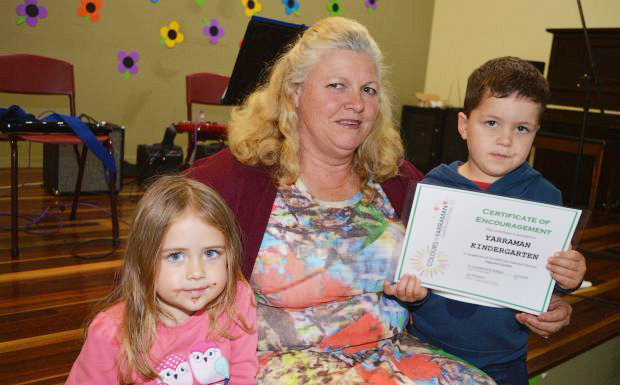 “I thought they’d be suffering much more than they were,” he said. 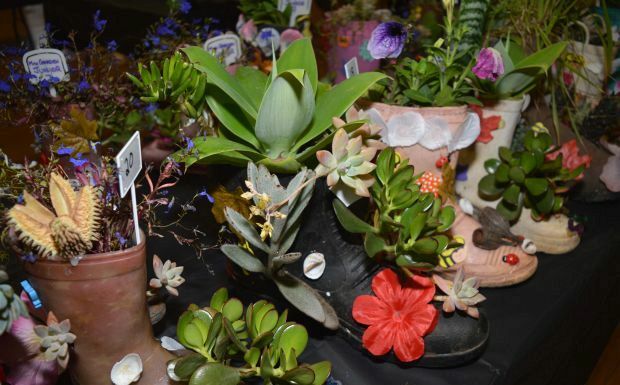 He said while judging the entries he had looked for healthy and vigorous plants, the absence of pests and diseases, the garden design and use of space, the range of plants, good maintenance, “water wise” practices, and the “wow factor”.